Located at 535 E. Hyman Ave., the so-called Lego building in downtown Aspen sold for $28 million this week. Editor’s note: The following article has been altered from the original version due to a reporting error. Stephen Summers, the operator-manager of the CT018 Aspen LLC partnership, which closed on its acquisition of the 535 E. Hyman Ave. building Wednesday, said the wheels are in motion to bring retailers into the 20,000 square feet of commercial space that has been predominantly vacant since it was erected in 2015. The corner building currently is home to the luxury fashion boutique Mr & Mrs Italy on its ground level and the yoga studio Aspen Shakti in its basement space. “We thought that location is on the 50-yard line, and they just need to get some activity,” Summers said. Four of the six ground-level, retail units are currently available for tenants. Summers said the Los Angeles clothing label Frame Denim has signed a lease to move in later this year, and a fitness operation will take up another space in the basement level. 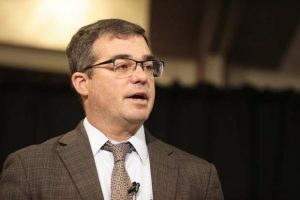 Aspen appraiser Randy Gold touched on the significance of the purchase during a presentation he gave at Thursday’s Aspen Board of Realtors 2018 Annual Market Update Luncheon at the St. Regis Aspen Resort hotel. 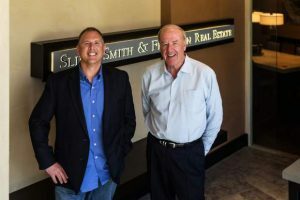 Summers and brother-in-law Ray Washburne are owners of 250,000-square-foot Highland Park Village, an upscale shopping plaza located in an affluent area of Dallas. Summers, Washburne and their wives bought the property for $170 million in 2009. Summers also was instrumental in attracting Austin, Texas, restaurateur Larry McGuire and his partners to Aspen. Last year, McGuire and investors paid $2 million for the Little Annie’s building next door to the Lego building. McGuire, co-founder of Clark’s Oyster Bar, will open a restaurant with the same name in the Little Annie’s spot later this year, possibly as early as June 1. The building currently is being remodeled. Summers appeared bullish about looking at other properties in Aspen to buy. 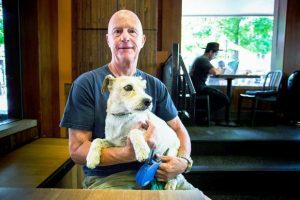 Both the Little Annie’s building and the Lego building were owned by Aspen’s father-and-son development team Andy and Nikos Hecht, as well as other investors. The Hechts’ Aspen Core Ventures also sold an undeveloped penthouse on top of the 535 E. Hyman building for $25 million in November 2015. Like the commercial space underneath it, the penthouse was not listed for sale when it changed ownership. 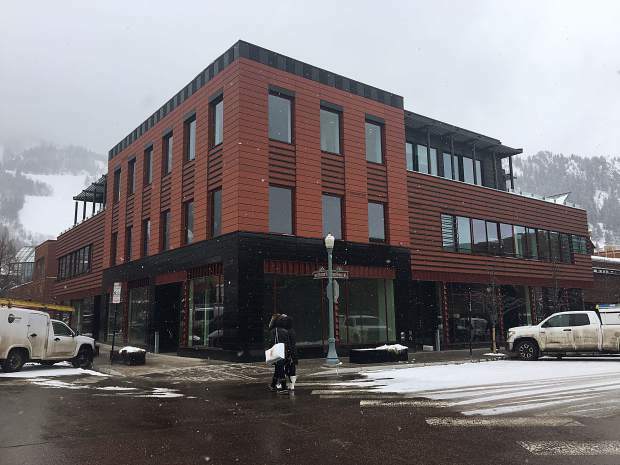 An ordinance passed by Aspen City Council in 2012 bans construction of penthouses and condominiums in the downtown core. Aspen Core Ventures bought the Little Annie’s building, the former Huntsman Gallery building and the parking lot at the intersection of East Hyman Avenue and Hunter Street for $17.75 million in November 2010. The gallery building, built in the 1960s by the late artist Tom Benton, was preserved as part of the just-sold structure, which also was built on the parking lot.